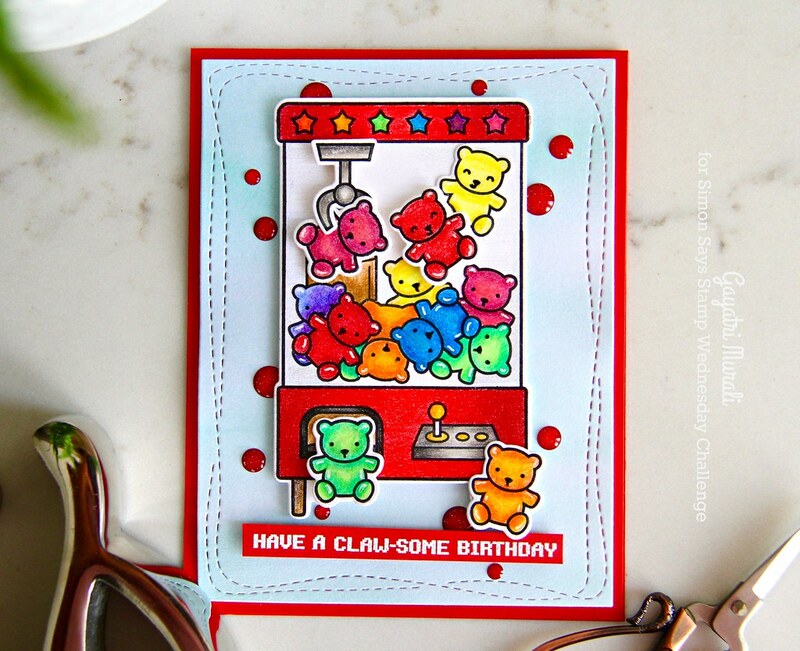 This is a fun card because I had fun colouring these cute jelly bears with Faber Castell’s Polychromos pencils. 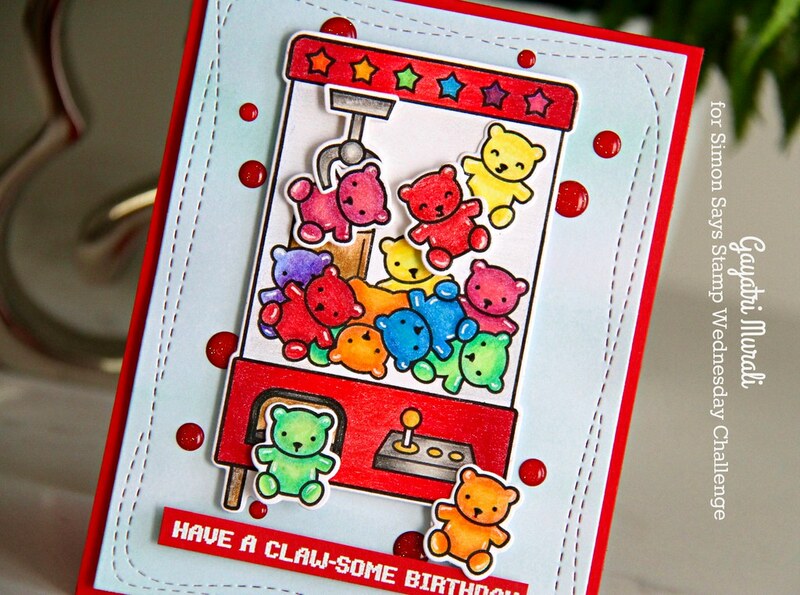 It took me a long long time to colour the jelly bear images from Lawn Fawn You’re Claw-some stamp set. But I really had fun colouring them. 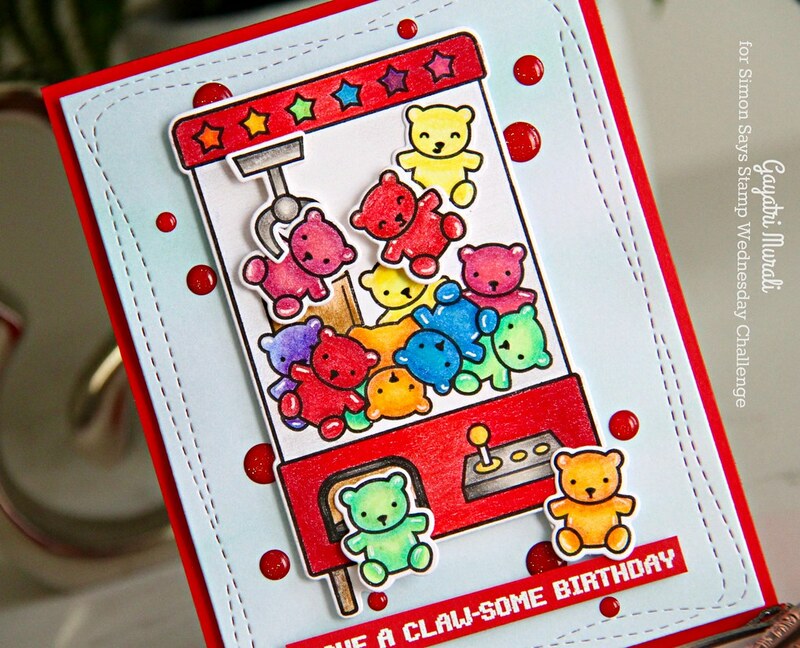 I felt like popping the bear inside my mouth after colouring each of them lol! OMG! so so cute. Then I used the coordinating dies to die cut them out. I white heat embossed the sentiment from the stamp set on Lipstick Red cardstock from Simon Says Stamp. I trimmed it out to a nice thin strip. For the background, I die cut a wonky stitched rectangle panel using the blue watercolor paper from Lawn Fawn Watercolor pattern paper. I adhered the coloured images on the wonky stitched rectangle panel using foam adhesives. The sentiment below the image again using foam adhesives. 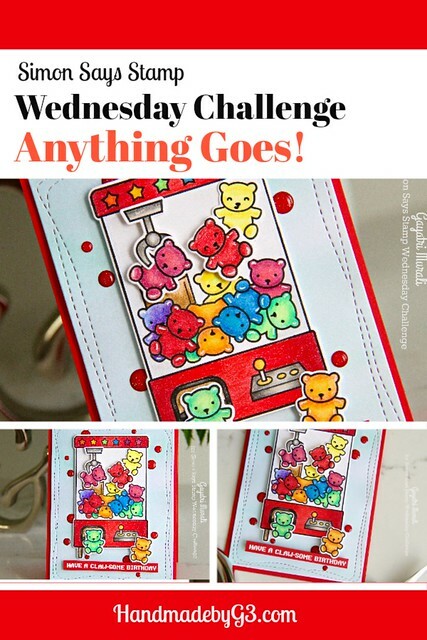 I scattered the glitter enamel dots from Doodlebug around the image. This entire panel is adhered on Lipstick Red card base. If you like to bookmark my card, here is the pin. What a sweet card! I love how you colored the bears in a rainbow assortment. It’s so colorful and fun!! 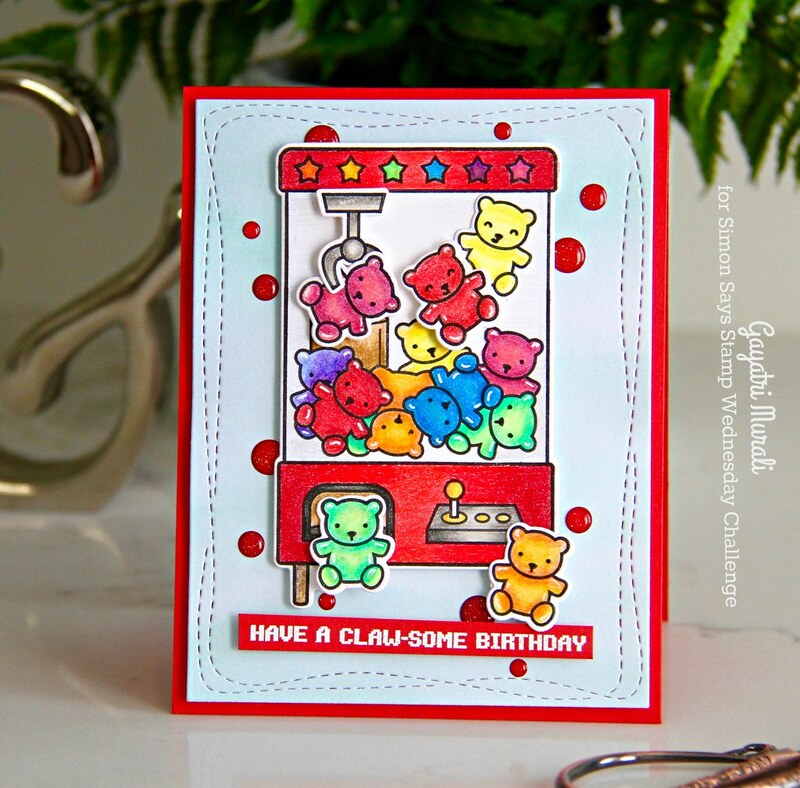 What a fun card, Gayatri – I hadn’t seen this set before……Yes, now I have the urge to go find some gummy bears! Happy New Year! Gorgeous, VIBRANT card Gayatri~it makes me so happy!